Our Deep Sleep Workshops and Classes are truly unique and I can promise you that you will not have experienced the depth and breadth of our trainings at any other sleep clinic that you may have attended. We offer you a three stage process, taking you layer by layer towards what you need to learn to sleep deeply and replenish as you rest. Ready to find what you want to find? My students’ experiences are never generic. They are unique, personal and nothing short of a journey. If you’re ready to find what you want to find through your personal experience and individual journey, let’s talk. OMG, My back feels amazing after that session – I just cannot believe how good it feels after such a short time. Deirdre, I would go demented without your Yoga classes. You always bring something new and innovative to your teaching, and you bring so much of yourself to the class. Since doing the Deep Sleep Yoga I have been going to sleep with some of the techniques that you taught us – my husband thinks I’m crazy – but seriously I feel a lot more sane. Great, great class. Our programmes are based on completely natural solutions, and focus upon deeply restful practices that help to soothe frayed nerves. We will teach you a variety of approaches to calm busy minds and replenish tired bodies through our innovative and effective programme that is tailored to you. Bed time Yoga: To soothe, calm and nourish. Embodied Mindfulness: to tame the ‘monkey mind’. Zen Deep Breathing:for the nights you are wired to the moon. Body Rolling: Iron yourself out and release painful symptoms as you roll over massage balls – always a big favourite. Cranial Unwinding Method: melting the tricky tight spots of the neck, jaw and shoulders. Body pressure weights: when laid at specific locations of the body, release our own natural supply of serotonin and melatonin making us feel internally drowsy and settled. Yoga Nidra: Delicious relaxation from the top of your head to the tips of your toes – 20 minutes of this guided and progressive relaxation is said have the same effect as 3 hours sleep. It is the combination of all of these methods that make our programmes so unique and effective. There is no one approach that works on its own, but when they are brought together you have a method that can make your sleep sweet and dreamy! …deep relaxation is at your finger tips whenever you need it. My Deep Sleep Method is inspired by the proven and successful techniques of Swami Satyananda’s style of Yoga Nidra and provides a profound way of consciously relaxing the physical, mental and emotional layers of tension within your body and mind. 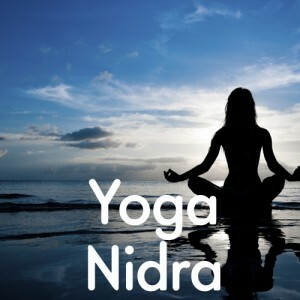 One hour of Yoga Nidra has the beneficial effect of four hours normal sleeping time. 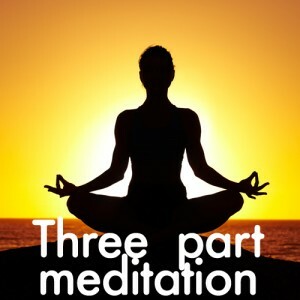 Through this technique of deep relaxation, one is able to gain great insight into the subconscious and unconscious mind or simply to use it as a tool to switch the mind off at night in order to fall into a restful and deep sleep. When you’re looking for flexibility and a sense of relaxation, my weekly Yoga classes offer both in equal measures. Level one provides a little time-out space for yourself, to help you unwind and find your quieter inner space; I think of these classes as a kind of maintenance time, necessary for rest and repair on a regular basis. When you’re looking to immerse yourself within inner quiet and when you need time to re-charge these longer practice periods provide time to soak ourselves in the very best of Yoga and meditation practices. My workshops are always structured around a particular theme – such as Yoga for Menopause or Deep Sleep Yoga – in which we look to the health-giving benefits of Therapeutic Yoga for solutions rather than to medications or costly procedures. For the seeker of the ultimate inner process: transform, heal, recover. When you’re looking to transform painful and recurring emotional stress, or are seeking help with painful, physical symptoms such as an on-going health issue, then engaging with me through a one-to-one process is vital. Level three will speed up your recovery period and help you get back on your feet in full health in a much shorter period of time. Yoga practice alone will most likely get you there but it could take decades rather than weeks or months to find your centre place of vibrant health. Our classes take place in a warm, cosy space that is conducive to deep rest. The small class environment ensures you receive more individual attention. The 5 week programme which will take you through a more in-depth focus and offer a consistent on-going approach to tackling long term and embedded sleep issues. Our Deep Sleep Workshops are orgainized in two separate stages. Each workshop lasts 2.5 hour teaching different aspects of our Deep Sleep Training . This gives you time to integrate and put into practice what you have learnt from your previous training. Deep Sleep One is best for when there is little energy or incentive to do anything, and yet the body and mind is paradoxically too restless to sleep. Deep Sleep Two works when there is too much nervous energy streaming through our body, our minds may be jumping all over the place and yet there is a great need to sleep and recharge. These one-to-one sessions can offer relief from hormonal and menopausal symptoms, trauma resulting from accidents and emotional upheavals, long-term and on-going stresses or, recurring illnesses that don’t seem to improve. Level three will speed up your recovery period and help you get back on your feet in full health in a much shorter period of time. Our classes and workshops alone will most likely get you there but it could take years rather than weeks or months to find your centre place of vibrant health.